The ‘Revenge Film’ is something that has been with us since the dawn of cinema. Who doesn’t enjoy watching a person who was previously wronged rise up and punish those who have transgressed against them? Sure, it’s all kinds of wrong to take justice into your own hands but that doesn’t stop us from living vicariously through these films and imagine taking out that boss that laid you off, the spouse that cheated on you…or in the case of Brother Charles, the psychotic, racist cop who tried to castrate you in the back of an unmarked police car. 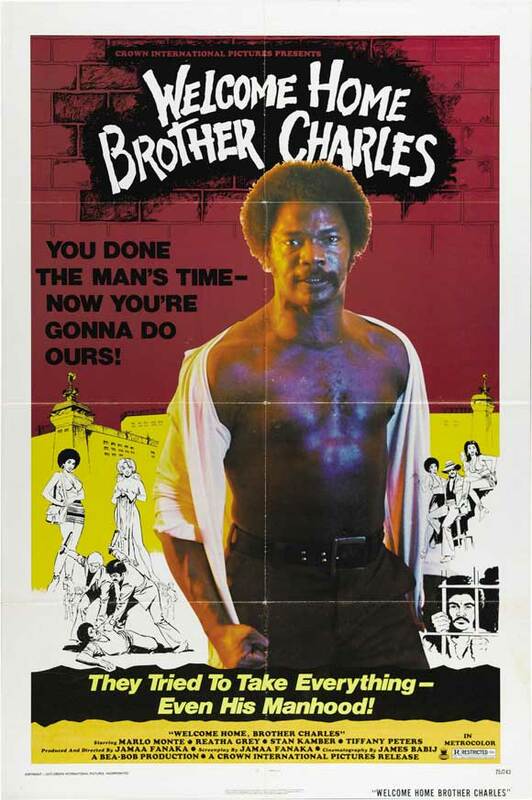 ‘Welcome Home, Brother Charles’ (aka: Soul Vengeance) is one very unique chapter in the annals of revenge film history. I’ve seen a damn good number of these films but never have I seen vengeance dealt out in quite the same way as it is here and been asked to take it seriously. “Welcome Home, Brother Charles” is an incredible dark, sad, film about racism and injustice but it’s also a film about how when someone tries to cut you, or your cause down, many times it just…grows back…um, bigger and…stronger and more deadly. ANYWAY, before I give too much away, enjoy this latest Rotten Review for ‘Welcome Home, Brother Charles’ (aka: Soul Vengeance) a strange and unique bit of our Trash Cinema Heritage. Now I understand what all you white guys are afraid of. « The Wanderers: Teen Angst and Switch-Blades.